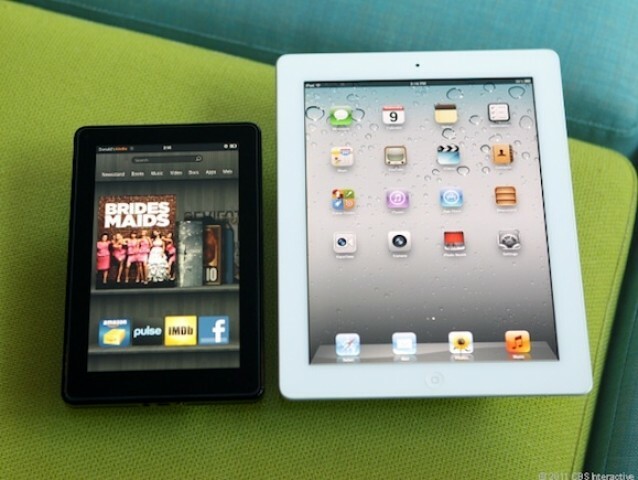 Cheap Android tablets are stealing the iPad's market share. A study conducted by the Pew Internet & American Life Project has found a massive boom in tablets over the last 12 months, with 25% of American adults now owning a tablet of their own. As you might expect, the iPad is the most popular device out there at the moment, claiming more than 52% of the market. But that may not be the case for too long. Android tablets are rapidly catching up, and in the not-so-distant future, there’s a good chance they will be king. The other 48% of the market is made up of Android tablets from various manufacturers, with Amazon’s Kindle Fire accounting for 21% of that share. Apple’s device is still the most popular slate there is for now, but its share is quickly being impacted by its rivals. In 2011, for example, the iPad held a whopping 81% of the market, while Android devices claimed just 15%. Things have quickly evened themselves out over the last 12 months, and The Pew Research Center believes that could be the result of a recent influx in Android devices. They also note that these results were finalized before Google released the Nexus 7 and before Amazon launched the new Kindle Fire HD. With that in mind, there’s a good chance Android tablets are already on par with the iPad, if not out in front. With Amazon’s original Kindle Fire claiming more than a fifth of Android’s share, it’s evident that budget-friendly slates are becoming hugely popular. It’s no wonder, then, that Apple appears to have changed its mind about releasing a smaller, cheaper iPad. As for smartphones, Android continues to claim the top spot among U.S. adults, with 46% of users running Google’s platform. In comparison, the iPhone accounts for 38%, while RIM’s dying BlackBerry platform accounts for just 10%.